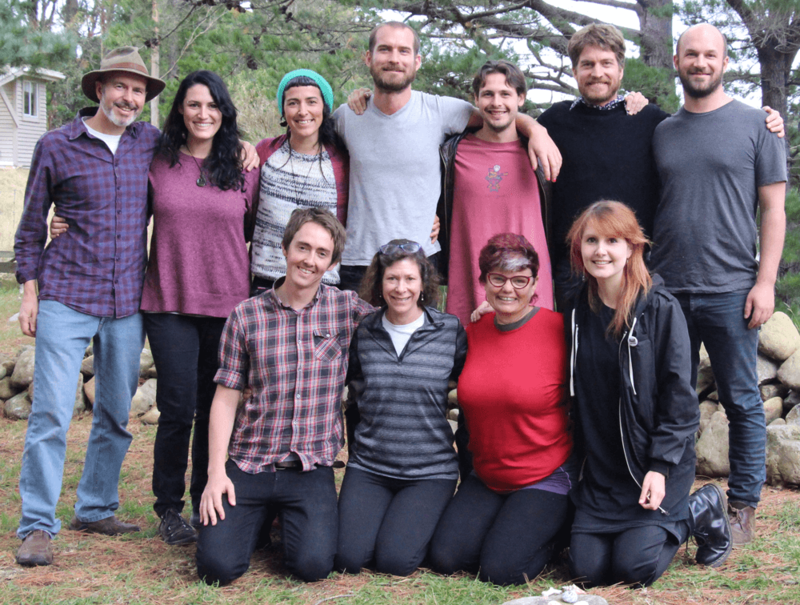 This article compiles a two-part interview with Alanna Krause, co-founder and worker-owner of Loomio, a online software worker cooperative based in Aotearoa New Zealand. The interview was originally published at democracyatwork.info: Part 1, Part 2. Could you provide some background on Loomio? What problem does your service/product solve? Loomio is a decision-making tool for groups who want to collaborate democratically. It enables more transparency and inclusion, with fewer meetings and emails. Unlike a survey or poll, it facilitates a process of constructive deliberation, synthesising solutions from diverse viewpoints. We created Loomio to solve a problem we ourselves were having, and then found a lot of other people need this tool, too. It can be very difficult to get everyone together for a meeting, and even then you often only hear from certain voices or you run out of time. Meanwhile, trying to make clear, well-documented decisions using mass reply-all emails or open-ended social media messaging is a mess. With Loomio, it’s easy to include all the stakeholders, and converge on clear outcomes you can act on together. Loomio originally grew out of the intersection of activists from the Occupy movement and entrepreneurs from Enspiral, a network of positive impact businesses. We realized we were trying to solve the same problem — fast, inclusive, effective decision-making — so we tackled it together. 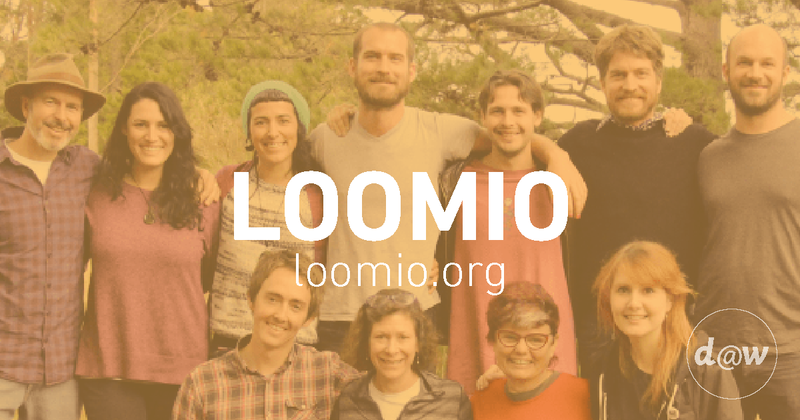 What inspired you to found Loomio as a worker cooperative as opposed to a traditional model? We’re a social enterprise, driven by our impact mission. We believe that more groups practicing effective, inclusive decision-making can change organizational dynamics at a global scale. In order to have that kind of impact externally, we have to authentically live it internally. Equitable collaboration is in our DNA. For us, being a co-op was an easy choice, because it so closely fit with our most deeply-held values. Beyond that, it was a really effective way of clarifying stakeholding and sharing responsibility. We want to have impact with our product, but we also think the way we’ve structured our company and how we work is part of our social mission. We want to show it’s possible to do a startup differently, with no bosses, driven by pro-social values, and with true collective ownership. The Loomio team. All workers at Loomio are also owners of the company. How have the worker-owners decided to share the responsibilities of running the business? We open-source all our processes, structures, and policies in our Co-Op Handbook, which you can see at http://loomio.coop. Collaboration and co-ownership doesn’t mean everyone is involved in every decision. That would be impractical. We work to strike a balance of empowered delegation and collective input. The ultimate mandate in the co-op traces back to the worker-owners as a group. From there we make a range of delegations such as the to the board of directors (governance) and coordinators (operational management). The cooperative members agree the overall strategy annually, and get together once a quarter to set some high-level outcomes for the whole co-op. The team self-organizes into working groups (like product development or marketing) to achieve these outcomes. We are a fully agile organization, running two-week sprints and daily standups. Individuals have a lot of autonomy in their day to day work, and we emphasize good reporting and documentation so others can keep up to date. Of course we’re heavy users of Loomio ourselves! We use it to make decisions among the members of a working group, and to widen out the stakeholding to the whole co-op if needed. We’ve made over 500 decisions together as a team on Loomio. It allows us to be dynamic and responsive in a fast-moving environment, breaking the trade-off between speed and inclusion, because we need both. What did the start-up process look like? Where/how did you find start-up funding? We took a very ‘lean startup’ approach, creating a useful minimum viable product as quickly and cheaply as possible, and then iterating on it based on real user feedback. We got off the ground with no capital at first. We quickly started generating revenue from consulting services, working with organizations who want to collaborate and do effective consultation but need help. After releasing a beta prototype of our software, and being overwhelmed with interest in it from around the world, we did a round of friends and family loans. Then, in 2013, we ran a successful international crowdfunding campaign ($125,000 USD). This enabled us to work on a new version of the software, and Loomio 1.0 was released the following year. We implemented a software-as-a-service (SaaS) business model, with free and paid options. The free version is supported by donations, or you can subscribe and get premium features. What has everyone found are the benefits to being organized as a worker coop? We love being a co-op. Honestly, I can’t imagine owning a startup by myself, and feeling all the pressure just on my own shoulders. Doing a startup is a roller-coaster ride, financially and psychologically. We look after each other and share the load. Being a co-op has allowed us to build a truly great team. While we can’t offer much money to workers right now, we can invite them into co-ownership. It’s served as a good signal to attract people who want to work in this way and who share our values. For me, the level of authenticity being a co-op enables is one of the main benefits. Our product is about collaboration, inclusion, and creating a more equitable world. Because we live these values in everything we do, I can hold my head up high knowing that, while we haven’t got everything figured out, we are walking the walk. Loomio makes software that helps groups make decisions together. What has everyone found are the challenges to being organized as a worker coop? We are a very diverse team, with backgrounds in social change, facilitation, community sector, and civil society, as well as business, technology, and startups. And of course we’re working for a collective vision, not an individual one. It was a long process to integrate all these perspectives into one coherent product and business model. So velocity has been somewhat of a challenge. I think we could have moved faster. We’ve all worked on ourselves and grown a lot as people along the way, and profoundly deepened our shared understanding. Going through that process of integrating our diversity made us much stronger, as a team and as a product. Now we’re pretty good at thinking strategically and getting the whole team focused. Working in highly collaborative and inclusive ways often means investing more time getting everyone on the same page, but once you get there you can move together super effectively. We’ve also faced challenges with raising capital. We’re not a good fit for traditional venture capital (VC) funding, because we don’t have ordinary equity and don’t want to set up certain profit maximizing incentives. We’re not building Loomio for a “big exit” — we want to create a company that lasts, pays back investors and ourselves, and ultimately builds the commons. So, it took us longer than many startups to find the right model for capital. But once we found it, we discovered that there are investors out there who deeply care about social impact, who seemed to be waiting for just such an opportunity. I think better capital models for mission-driven startups and co-ops is definitely a problem worth solving, for investors, entrepreneurs, and society. The market is ready for alternatives. What advice, if any, do you have for anyone interested in starting their own worker coop? Check out our handbook, and feel free to copy it, fork it, adapt it. It’s open source! And please share back what you learn with us. We’d love to see more worker co-ops starting up, and are eager to help if we can. Real stories of the journeys of others are extremely helpful. We feature a lot of them on our blog. Find a group of collaborators who share a deep sense of purpose and values. That’s what held us together through differences of opinion, hard times, and moments of doubt. The number one reason startups fail is the team imploding and relationships breaking down. If you can collaborate well together, you’ll be in good shape! So invest in good process and communication, and look after each other as human beings.